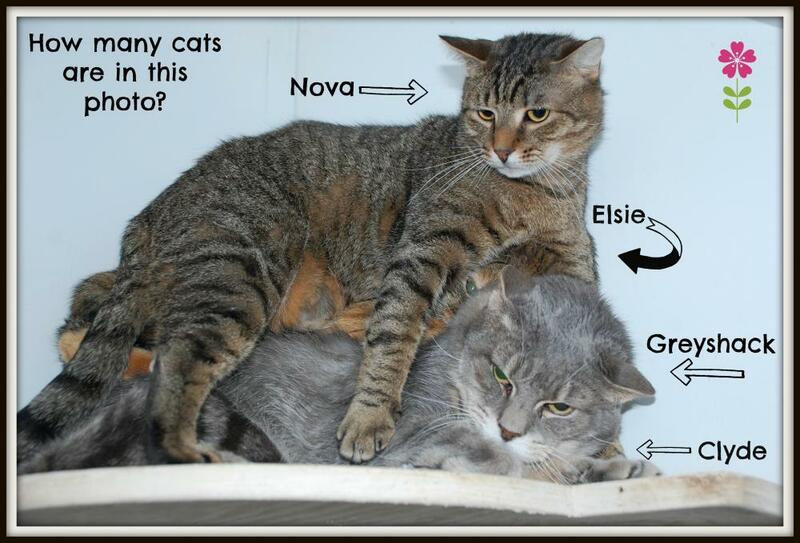 Awww...NOVA is Nova-liscious! He just really shy and needs a patient home that doesn't expect him to be a lap cat right away. We've been working with him and he's getting much better. He enjoys being petted. Once he's in a safe home you may even be surprised how fast he comes around. 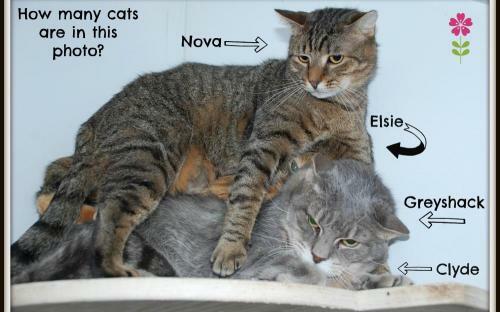 Nova is very good friends with Elsie (the calico in the photos), and if you have room in your heart for two kitties, he'd love to go to a home with another cat. To submit an application to adopt a cat please click here.